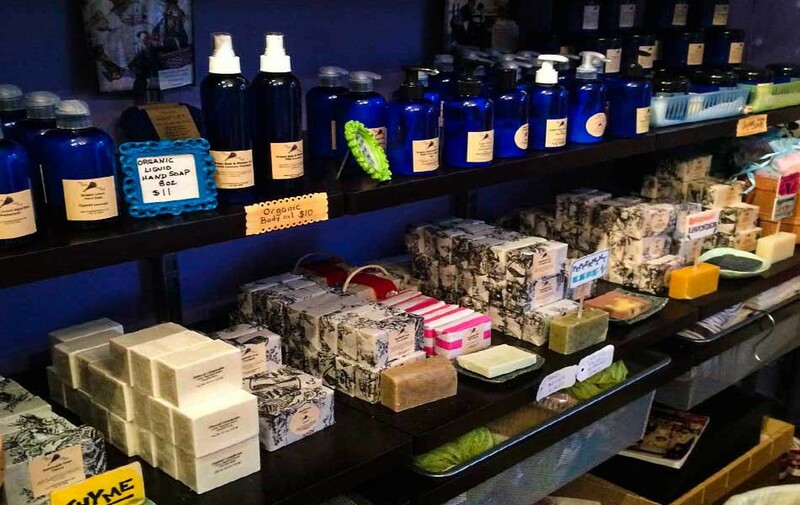 The Little Soap Shop in Astoria, now called the Lavender Label, is packed full of handmade soaps and bath products. Everything is unique and beautifully wrapped. 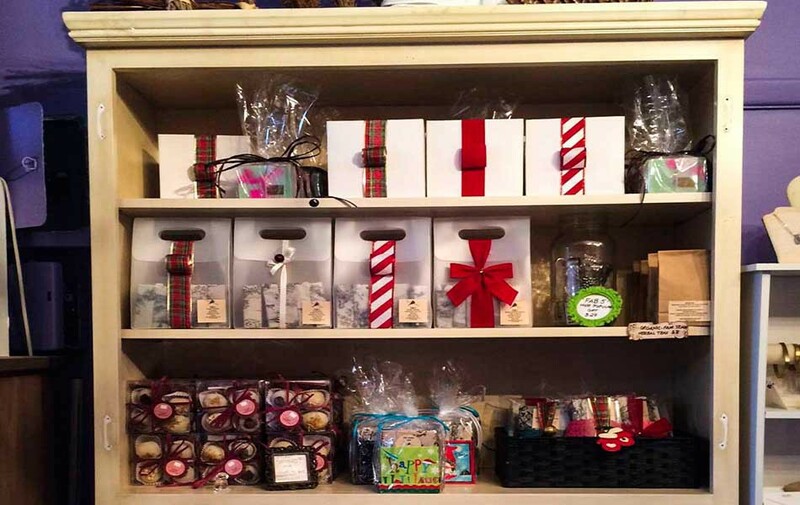 Perfect for any gift giving needs, or for spoiling yourself. we strive to deliver you the best of nature, by using only fine quality ingredients in all of our products. Our soap products are hand-made, hand-cut and hand wrapped individually to create a unique bar every time. Our salts are only from the Dead Sea and our herbs are fresh and dried. Years ago while delving into the “real” world of soap making, I found myself imagining what I could do with this love for all things natural. I was initially floored when I discovered, as a young adult, that the soap I was using on my body was made with ingredients I couldn’t even pronounce. Not all chemicals are bad but these were definitely not good. I always thought my dry skin condition was just genetic, until I made my first batch of pure soap and finally got to use it after a tedious 4 weeks of waiting till the batch was ready. I was so excited that I almost gave it all away to friends and family. I needed everyone to understand and feel what they were missing. I have never used another type of soap since. That was 7 years ago. I have since trialed many recipes and came to one perfect balance of a pure bar that rendered 3 most important attributes; moisture, cleansing power and a hardness that made my bar last longer. It is my yin and yang. Two years after my first batch, I needed to give back to the world what was obviously a hidden or shall I say underappreciated gift that nature had stowed away. I worked really hard the first 2 years to not only creating my perfect balanced recipe but to figure out how to introduce The Little Soap Shop to this big industrialized world. I started out with Astoria, my home town; A great cozy community 15 minutes away from the hustle and bustle of midtown NYC. In my little 200 square foot space I started making soap night after night after night. Friends and family came and helped out with all the other details that come along with opening up a business, like cleaning and painting and handing out flyers for my grand opening. It was a successful day. 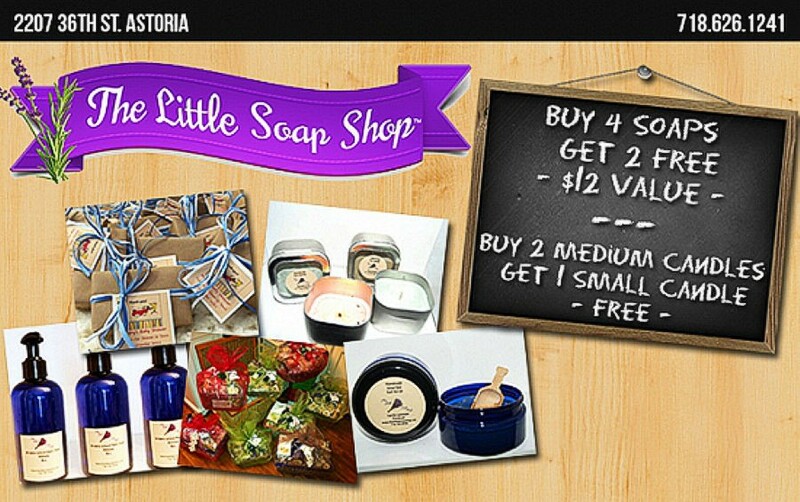 Almost 5 years in, and The Little Soap Shop is doing great! And I love what I do! I have college students helping out when they’re back from school during holidays and summers so they can make a little extra money while they start to appreciate that this job is much more than that. When you come into my shop, you can actually feel the charm it emits. You can be sure that the aromas in here are for your benefit and I as well as the occasional staff will make sure you get the best attention for your skin’s concerns. Our customers are like family! So come on by and check us out, you will be glad! My ingredients are pure, sustainable and organic.My wrapping is made of recycled paper as is my paper shopping bags but we do encourage customers to bring their totes.We are constantly looking for ways to better use our resources and reduce as much waste as possible! I love the organic candles the best. I don't want to breathe in all the toxins from cheap candles and they have awesome scents. Recently I tried their soaps and i was very impressed. Natural scents and they last a long time. WOW! The name is accurate this place is so small that I was afraid to sneeze in there! But, I like the soap and candles as they are organic and God forbid I light a toxic fume candle like they sell all over the place. I got a soy candle for my girlfriend and told her to relax and breathe easy, we're going green even with our candles! I give a thumbs up to the little store. This place is easy to miss because it really is tiny, just off Ditmars Blvd. 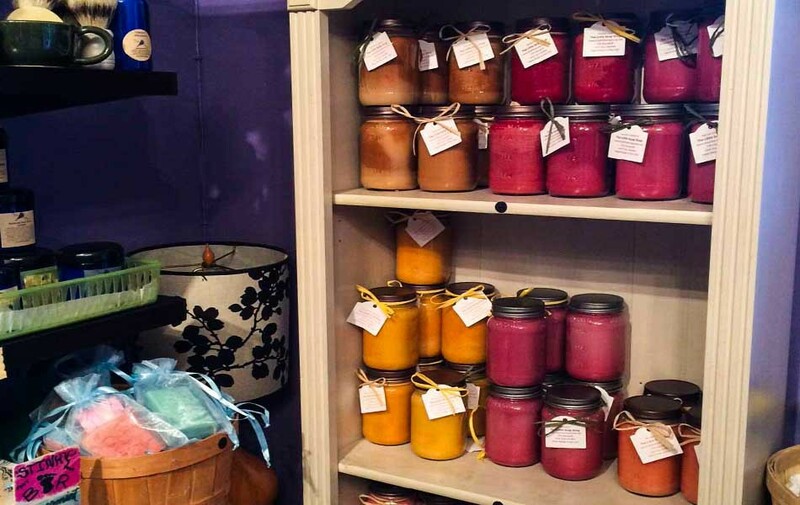 Vivian the owner knows her products and she offers the highest quality of natural, organic soaps and candles. 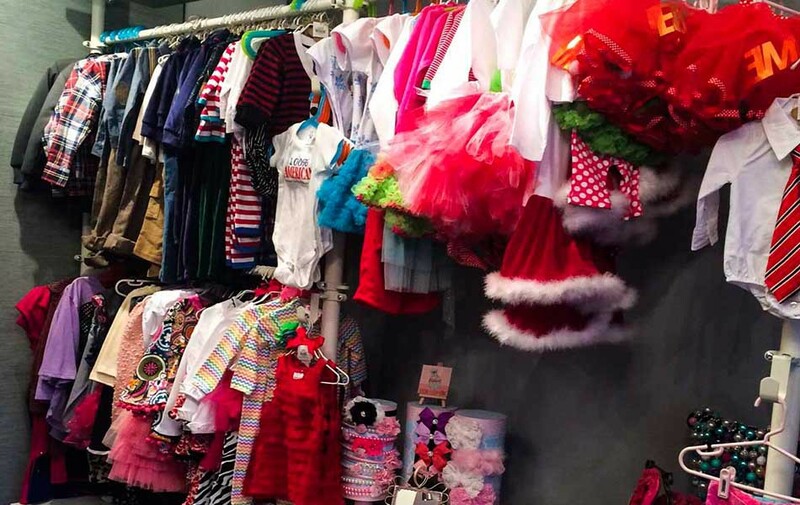 Stores like these are only in Manhattan and the prices are definitely much higher. I buy great stuff here for my whole family. Their scent from the natural soaps and candles are addicting. This place should be 10 time bigger.